The Touch The Sky rapper - and new boyfriend of Kim Kardashian - announced that he will present the film on Wednesday at the French festival. Kanye and his creative collective DONDA will screen the "short art film" out of competition in Cannes. In a statement, the star promises "a fusion of short film and art installation" and an "immersive seven-screen experience." It will remain open to the public for two days following its premiere. 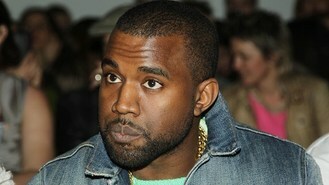 Kanye has previously directed music videos for his music, including 2010's Runaway.